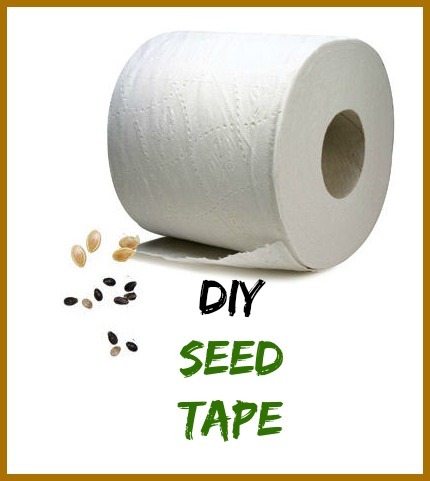 Seed Tape is easy to make with common toilet paper. Why waste money on store bought seed takes when you can make your own with this commonly found item? Seed tape makes it easy to get tiny seeds planted in a vegetable garden. Often these are so small that you end up wasting them by having to thin out a lot of the seeds later. This is a really fun project that the kids will love to join in on. It gives them something to do in the project when they are too young to handle garden tools. They will feel that they played a part in the garden when it starts to grow. Use double ply toilet paper for best results. 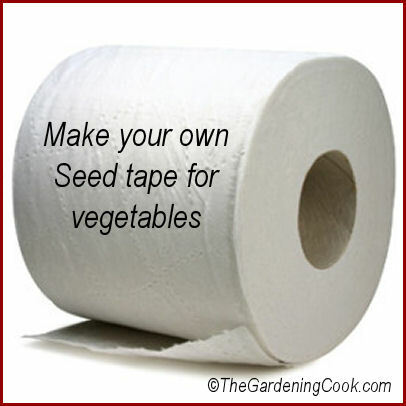 Unroll a strip of toilet paper, mist it with a sprayer, and place the seeds along the center of the strip. Be sure to space the seeds based on the seed packet’s recommendation. Starting along the strip’s long edge, fold a third of the paper over the seeds, then fold the other third over to cover the seeds completely. Mist the paper again after lightly tamping it down. This will secure the seeds. Make as many of these strips as you need. Then carefully take them out to the garden. Make shallow furrows in your prepared soil, lay the strips down, and cover them lightly according to depth directions on your seed package. In a jiffy, your small seeds will be planted and perfectly spaced. As a bonus, the toilet paper will degrade over time and add to your soil. See my Pinterest boards for more gardening tips. Tip: Alternate carrot seeds with radish seeds because when the radishes sprout, they help to mark the row and break the ground. They also make good companion plants. Have any readers tried this? How well does it work? Do you mist the tp with just water? Has anyone out there tried this? How well did it work? Your continuous note on the matter is appreiciated. Terry Suzuki, in Southern California. U.S.A. Very good idea. I am planting tomato seeds today and will try it. Thanks.